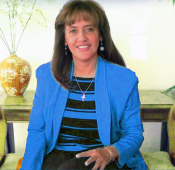 Dr. Yolanda Barrera is the founder and chief clinician of Bienestar Latino™, Mental Health services for Latinos in Denver,Colorado, also serving Latinos in Aurora, Englewood, Lakewood, Golden, Commerce City, Westminster, Colorado Springs and Avon. Dr. Barrera is Licensed Psychologist, bilingual (Spanish/English), with more than 18 years of specialized training & expertise working in different mental health programs, with diverse communities, locally and internationally. Her Clinical and Scientific interests in the Mental Health field have been in the areas of Prevention of Mental Illness, Professional and Community Education, Culturally sensitive Assessment and Intervention, including Bilingual Counseling services. She is also engaged in Program development to promote Mental Health, Relationship Enhancement and Optimal Performance for Individuals, Couples, Families, Groups, and private and public Organizations. My ultimate goal is to work collaboratively with my Client(s), creating a meaningful, supportive climate where goals, growth and change can actually happen. Our work together will help you find effective solutions to the problems that concern you and allow you to have more meaningful and fulfilling life. Please click on each of the items below to know more about Dr.B. & Bienestar Latino. Yolanda completed her specialty in the assessment and treatment of Couples and families with different experts in the field. She trained with Dr. Howard Markman, PhD, renowned Couple’s researcher and developer of the PREP, a Prevention and Relationship Enhancement Program for couples. She also trained with Dr. Shelly Smith-Acuña, Dean of the Clinical Psychology doctoral program of the University of Denver and leader of the year-long Couples and families seminar. Yolanda also trained in Couple therapy in Colombia with Leonidas Castro, PhD, Nelly Rojas, and Ma. Mercedes Brenson, PhD. She has continue attending post doctoral Couple’s trainings and conferences with participation of experts such as A. Christensen, PhD, J. Gottman, PhD., C. Padesky, B. McCarthy, PhD , E. Perel, MA and others. Yolanda’s additional practice and scientific focus area has been on Immigrants mental health. She has attended to, and participated as presenter to local, national and international Symposiums and Conferences. Her commitment to continue her postdoctoral professional development, has lead her to attend local, national and international state-of-the-art trainings and conferences on varied mental health topics and treatments with diverse communities , and also keeping professionally active in the Denver Metro area and Colorado. 2010 – Presenter at the World Psychiatric Association Congress “Migration, Mental Health and Trans-Culturalism in the XXI Century”, held at the University of Barcelona, Spain. Paper Topic: Migration and Adaptation: Psychosocial Influences on Immigrants Latinos Mental Health. 2010 - Presenter at the Colorado Counseling Association, Annual conference held in Denver, CO: Paper topic: Immigration and Adaptation: Influences on Immigrant Latinos Mental Health. 2009- Selected as 2009- Master Scholar. University of Denver/ Graduate School of Professional Psychology. 2008 – Awarded a fellowship by the American Psychological Association/ Minority Fellowship Program (APA/MFP). Participated in the 2008- Psychology Summer Institute in Washington DC. Program: “Early Intervention & Prevention Program for Immigrant Latino/a Mental Health” , which will be implemented in the near future. 2007- Invited by the government of Puebla, Mexico, as invited Presenter to the international Symposium: “ “Repercusiones De La Migracion En La Salud Mental.” Because of last minute health emergency Dr.Barrera had to cancel her attendance, but her presentation was sent to the symposium. 1996-1997 - High Academic Achievement Scholarship. University of Los Andes, Bogota-Colombia. Dr. Barrera has worked with Individuals, Couples, Families and groups of different backgrounds and circumstances; She has also worked with Communities and Organizations facilitating mental health & resiliency, cultural competence, sociocultural adaptation and integration, quality and life satisfaction and optimal performance. Some of the settings in which Dr.Barrera has worked include Regis University, graduate level affiliate faculty, the Counseling Center at the University of Denver, University-based research projects such as the University of Colorado Health Sciences Center-UCHSC/ Psychiatry department & the Center for Marital Studies/University of Denver(F.R.A.M.E. Project); Denver and Aurora Public Schools; Neuropsychogical rehabilitation clinic, Mental Health Community Centers, Teen Suicide prevention program,Family Resources Centers through Aurora Public schools and the Community College of Aurora and private practice environments. She has also participated as examiner in the standardization of the Wechsler Intelligence Scale for children in Spanish (WISC-IV-Español). Educational Assessment: To help identify Attention or learning problems. Vocational: to explore Interests, Aptitudes to facilitate career selection or life direction. Bilingual- Spanish Courses & workshops for Individuals, Marriages/Couples, Families, Schools, Faith-based & Community Organizations, to decrease conflict; improve Self-esteem, Relationships, Communication, and optimal performance. Mental health Prevention programs and Lectures. Healthy Management of Grief & Loss. Coping and Adaptation Pre-During and after Relocation. In Assessment, clinical intervention, program development and consultation we integrate Cognitive-Behavioral/Emotional models, Constructivist, Humanistic, Narrative, & Systemic perspectives; within a culturally sensitive model, adapted and tailored according to our Client(s) Needs, Stage of development & Stage of change. Being a member of the American Society of Clinical Hypnosis, (ASCH), Hypnosis is one more of the clinical tools in the service of our Clients. In Trauma intervention we use different evidence –based approaches such as Trauma Therapy , EMDR ; complementary and allternative treatments such as EFT, TFT, Emotional Code among others. My professional experience has given me evidence of peoples’ resilience and their capacity to actualize their talents and strengths when they use constructively their power of choice. I believe people can discover how to exercise this amazing power; By allowing yourself to experience how to unblock unhelpful thinking patterns and emotions that are stuck in your mind and your body; learning how to choose the focus of your thoughts, affirming how do you want to be and act/ behave accordingly, thereby allowing yourself to move toward a more meaningful and fulfilling life.